Has any imported a guy from Asia? Redwolf have a retail store in the UK now, based in Tewkesbury, give it a google. If they don't have the item you want in the UK store, but they do in the HK store, then they can ship it over for you. I'd advise contact by phone though, they've not been good to me with replying to emails. Alternatively, you could let us know what you're looking at buying. Someone might know of a place that stocks it in the UK. There aren't a lot of things you need to resort to importing to get hold of anymore. I would avoid Redwolf UK simply because when I asked them for a price on a VFC Scar L (this is about 3 weeks ago) they quoted £460. 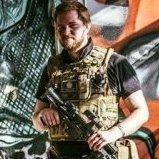 JD Airsoft sell the same item for £360 - which is marginally cheaper than if I imported from Redwolf Hong Kong (They want £260 for the gun + £40 postage then I'd be looking at £60 for the customs charges and a possible extra £13 just for Parcel Force to tell me I have to pay £60 customs charges). From what others say you will almost certainly have to pay customs charges these days (6-7 years ago there was a half-decent chance an order would sneak through without incurring charges). To be fair, it's mostly girls, not guys, that are imported from Asia! I've been buying from HK for well over 12 years with very little trouble or dramas. Sometimes it's cheaper by a considerable margin sometimes it works out no cheaper. Overall I'd say I'm in the positive column though. I'm not quite understanding the issue to be honest, VAT on imported items isn't 'trouble', it's just a tax you are legally required to pay. You think UK stores are magically getting round that somehow? Heck no, they're paying for shipping and import tax/duty just the same as an individual and their prices reflect that; plus their own profit margin and warehousing expenses need covering. I've not been importing stuff for anything like 12 years, but regularly for about 3 years now. I think I once paid £5 more than the UK price for a RIF, everything else has worked out cheaper. Sometimes by a good amount, sometimes by pennies. But for some reason there's this myth that buying from a UK retailer means you get to skip the cost of import VAT and duty, which simply isn't true. A lot of people seem to just feel (no idea why) that if they're only paying for an item in one lump vs. paying a HK store and then UK R&C that's somehow totally different. Despite the fact the end cost is basically similar 99% of the time. There's a lot to be said for a UK warranty etc don't get me wrong on that folks, but that doesn't change any of the above. When I said trouble, I actually meant weird requests from the borders agency. Most weird was photos of te items and dimensions for each gun! I never EVEN suggested i meant tax or other legally payable duties! When it comes to tax and import duty I have no problem paying it and factor it into every import I make. I've imported a few things from HK and Shenzen, no full guns though. So far I haven't been hit for VAT or import duty. I do work it out roughly beforehand and consider whether it's still worth waiting a bit longer for the cheaper price, because, in my experience, it has always been cheaper. Sometimes it's not cheap enough to warrant a wait; sometimes, even with tax, it is, and if I don't have to pay any that's a bonus! I know you didn't suggest that, I was addressing the OP. My error for not quoting them however, sorry for the confusion. Import duty and the infamous 'admin fee' from the courier/parcel force. Can't remember the figure off the top of my for the duty (another percentage, but lower than VAT generally) and then about £12-16 (very roughly) for the privilege of the mail service dealing with UK customs on your behalf. Check out WGCShop and UN Company. I won't say why, but when you go through the checkout process (doesn't mean you have to click 'confirm', just run through the steps) you'll understand. PUG and toan, might I point you to post number 6 above? Yeah, I used to know a guy that imported himself from Asia - 'kin useless! He was supposed to be a manager - it's an oldie but a goody because I honestly believe he would have had difficulty organising a piss-up in a brewery (and this had nothing to do with a language barrier - he is from Singapore so grew up with English as a spoken & written language). Also his attitude towards problem solving was completely different to mine: at the end of what I considered discussion workshops, but he considered something more like briefings, if what had been agreed as a reasonable and achievable goal included things which he did not know how to go about doing or felt he needed help with, he expected his peers in the pecking order to rally round and figure it out, just as he also expected his 'subordinates' to rally round and figure out how to implement any instructions he gave them (because his degree of wisdom would inform his understanding of what those subordinates ought to be able to suss out... and crucially, my wisdom must have informed my delegation of tasks, thus he and his peers between them must, beyond his understanding, have the skills needed to carry out their 'instructions'...). Of course, when I have a brainstorming session with people, I expect anyone who has a viewpoint, preference, or objection, to get their two pen'orth in; also of course, there is a social cost to expressing unpopular or naive opinions, but that's life - if you're not prepared for 40°+C, remove the white jacket and melt away... but here's the nub of the issue, to an Asian mindset, a failure by a leader is at least as much, if not more, the fault of his subordinates (and sadly male chauvinism is involved, but let's have it right, it's still not absent from our western mindset either, even that of western women), but failure and the fear of it are shameful, not to be admitted to or discussed in front of 'subordinates'. My failure, in his mind, was in not arranging the circumstances where he could inform me that my expectations could not be met unless I could explain how to him, or find or delegate somebody to mentor him through the necessary tasks, since I would obviously not discuss my inabilities with him, my 'subordinate'. To be perfectly honest, for a long while after this episode I laboured under a prejudice against Asian men, although it was pretty much subconscious, but then again, I did not have the understanding of what had actually occurred that I do now. It wasn't until I studied management theory briefly that the scales were lifted from my eyes; in that piph moment I felt as stupid as if I had been walking around with rotting dead fish strapped to my face. Lol as an Asian guy, I agree that Asians can be frustrating. I can't understand my lecturer the slightest at all. It's funny but when it interfere with my education, it's a problem. Oh everyone can be frustrating, I reckon anyway... Where were you brought up? My erstwhile 同輩 / 見習い / 同行 / 学徒制度 (I hope this helps but it's google translate so who knows lol!?!) no doubt found my 'unreasonable' expectations, 'insufficient' care, and 'unfair' public shaming of him, "frustrating" to say the least (there were 2 people of his age present when I yelled at him (for about 5mins continuously oops!) 1 of whom was female, and an older woman also). If i had to do the same project again, with the same people, I would make time everyday for him to check in with me, because I now realise that simply implying that everyone speak their mind is not enough and, even if I were prepared to deliberately take on the 師表 / 模范 role and responsibility and instruct him to speak his mind in open discussion, he could no more overcome his good Asian upbringing at age 23 than I could have overcome my lack of good western parenting at the same age. Ahhh,missed that first time around scooby....to busy laughing my arse off!! !